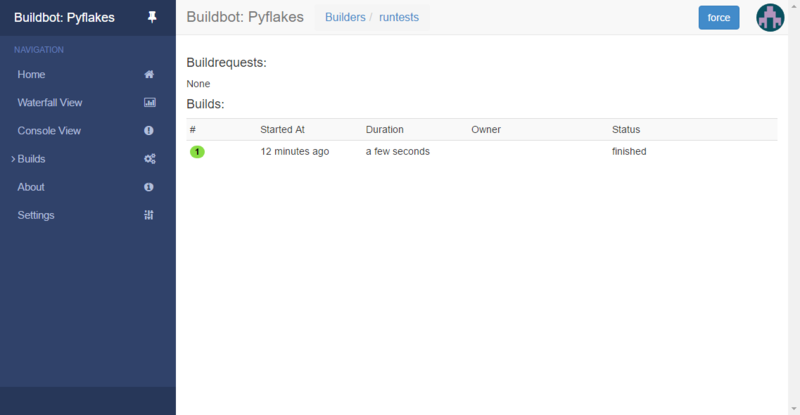 Buildbot is a Python-based continuous integration system for automating software build, test, and release processes. It uses Python's Twisted library to handle asynchronous communication between a buildmaster and one or more workers to facilitate testing builds on multiple platforms. Buildbot is highly configurable and makes few assumptions about how the build process should work, making it suitable for complex build processes or projects that require their tools to grow with the unique needs of the project. 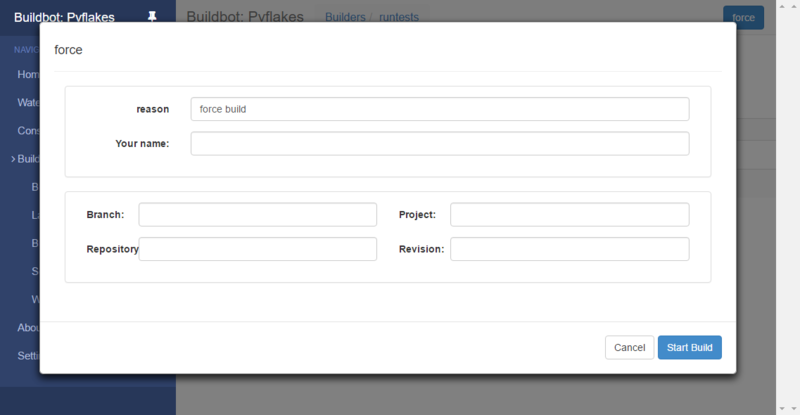 In this tutorial, we'll install and configure a Buildbot buildmaster and worker on the same machine. An Ubuntu 16.04 server with at least 1 GB of RAM, configured with a non-root sudo user and a firewall as described in the Ubuntu 16.04 initial server setup guide. 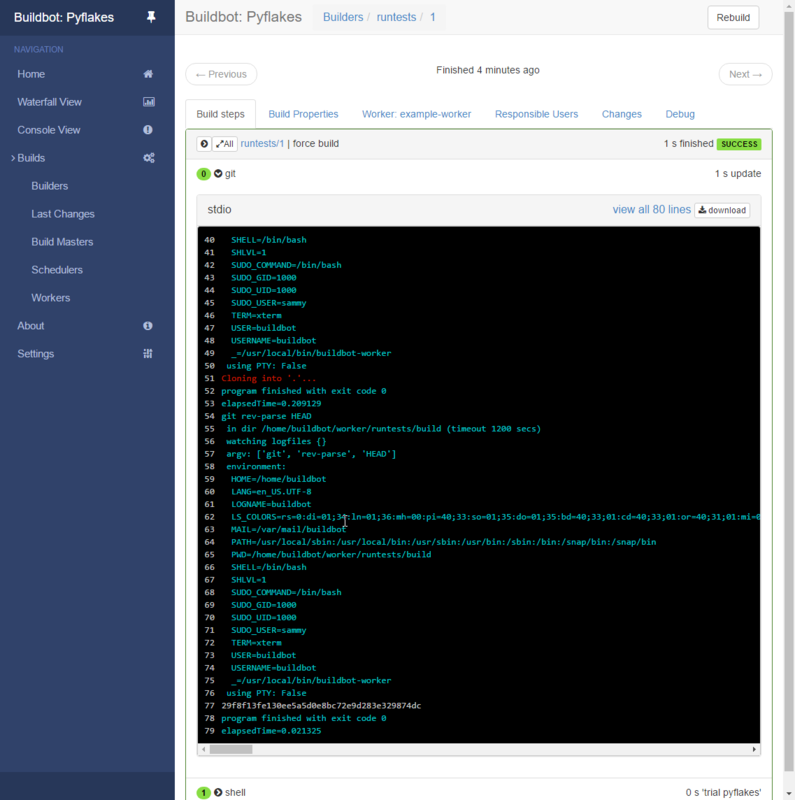 The Buildbot project recommends using the Python Package Index, pip, to install Buildbot in order to get the most recent version, which is often several releases ahead of what is available in the Ubuntu packages. 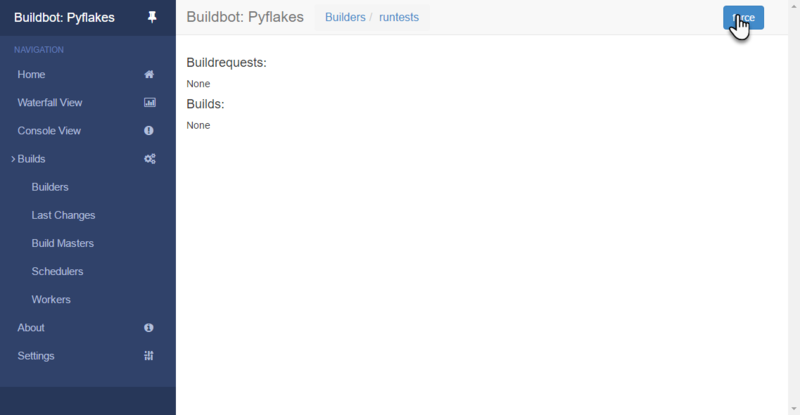 Buildbot uses port 8010 for the web interface, which isn't allowed, so we'll open that now. Then, we'll edit the file to allow us to reach the web interface from a local machine. In order to access the web interface from a desktop or other device, we'll change the buildbotURL from localhost to the IP address or domain name of the server. We will also set the usage reporting policy. Other important configuration values are set in master.cfg, but we're going to keep the rest of the defaults for now. Note: The master.cfg also pre-defines a worker in the "Workers" section. Later in the tutorial, we’ll create a worker with these credentials. Next, at the bottom of the file, set the value of the buildbotNetUsageData directive. This defines whether Buildbot will report usage statistics to the the developers to aid in improving the application. You can set this to None to opt out of this. If you don't mind sending back basic information about your usage, use the string "basic" instead. When you’ve modified the 'buildbotURL' and added the buildbotNetUsageData line, save and exit the file. Now that we have the master running and have verified that we can access the web interface, we’ll create the example worker. The relationship between a master and a worker is established when a worker's name and password in the master.cfg file matches the name and password of a worker configured to use the master. example-worker is the name of the worker and must uniquely identify the worker in the ~/master/master.cfg file. pass is the worker's password and this password must match the value in ~master/master.cfg. Please edit the files in /home/buildbot/worker/info appropriately. When the worker first connects, it will send files in the info directory to the buildmaster where it runs. They'll be displayed in the web interface to give developers more information about test failures. We'll configure these now. First, open the file containing the administrator's e-mail, delete the example line, Your Name Here <admin@youraddress.invalid> and replace it with your name and email address. When you're done, save and exit the file. The info/host file, by convention, provides the OS, version, memory size, CPU speed, versions of relevant libraries installed, and finally the Buildbot version running on the worker. Now that both the master and worker are configured and running, we'll execute a test build. 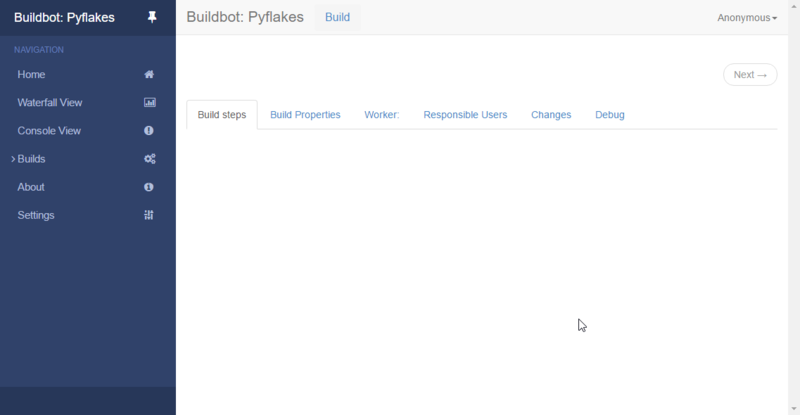 To run a test build, we'll open the "Builds" menu in the web interface, then select "Workers". The example worker and the information we set in info/admin and info/host should be displayed. From here, we can click on the default builder, "runtests" to force a build. This will bring up a dialog which allows you to enter information about the forced build. For this test build, we'll leave the fields blank and click the "Start Build" button in the popup window. Note that if you do enter a value in the "Your name" field, it must contain a valid email address. You may have noticed that we weren't required to log in to execute this build. By default, anyone can access administrative functions, so before we finish, we'll take a moment to lock that down and create a user account. You can learn more about the available options ins [Buildbot's Authorization documentation].(http://docs.buildbot.net/current/developer/authz.html). At the bottom of the file, add the following lines, changing the username and password. When we reload the web interface, a link should appear in the upper-right that says Anonymous and access to the administrative functions is no longer available. We'll test the credentials we just added by clicking "Anonymous", which will bring up a login box where we can enter the username and password we configured. When we log in, we should see that while "Anonymous" no longer has access to start a build, our "Sammy" user does. At this point, our installation of Buildbot is complete and we've taken a minimal step to secure the interface. The username and password, however, are being transmitted in plain text. We recommend as a next step and before using Buildbot in earnest that you secure the web interface with a reverse proxy. 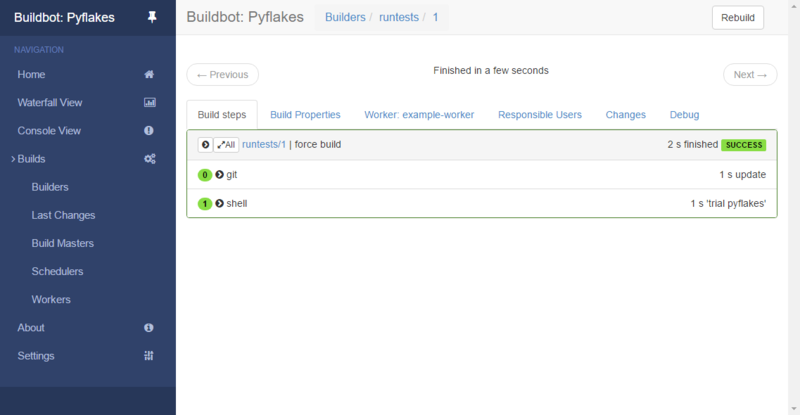 In this tutorial, we've installed and configured the Buildbot master and a local Buildbot worker on the same machine. 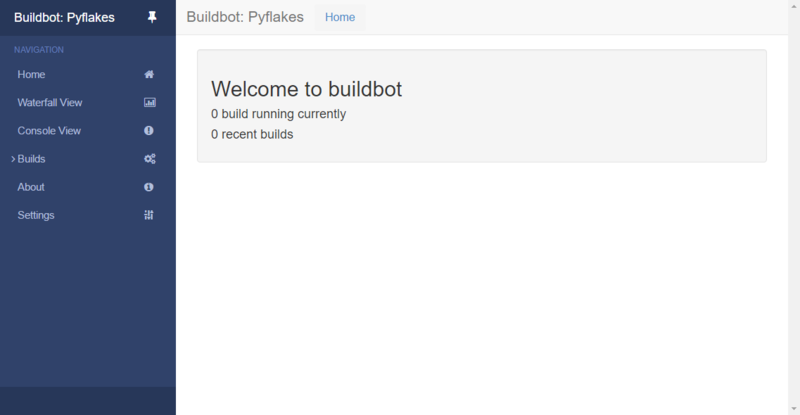 If you're evaluating Buildbot, you might want to take the project's Quick Tour. Otherwise, proceed to the next tutorial, How To Create Systemd Unit Files for Buildbot, to allow the server's init system to manage the Buildbot processes.